Scotland's Screen Commission has been nominated in the 2017 Location Managers Guild International (LMGI) Awards, an internationally recognised celebration of the outstanding creative contributions of location professionals and film commissions from around the world. 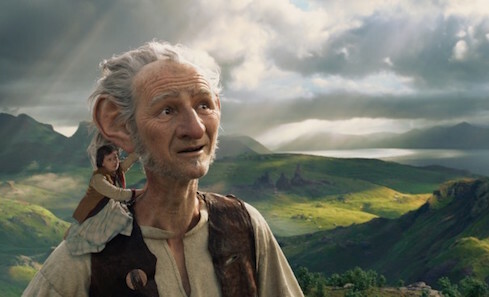 “Creative Scotland gave outstanding support and assistance in the scouting phase of Big Friendly Giant and were critical during the film production period as well. Big Friendly Giant filmed in a very sensitive area of outstanding beauty in Scotland. Creative Scotland assisted with enlisting support for the project at the highest political level. They also assisted in the closure of a major motorway for one night’s filming. "Additionally, Creative Scotland was instrumental in clearing the way for locations and production to scout St Kilda, an isolated archipelago in the North Atlantic Ocean. The UNESCO World Heritage Site boats the highest sea cliffs in the UK as well as unique architectural features from the Middle Ages and prehistoric periods. Creative Scotland facilitated permission for filming into the fascinating locale owned by the National Trust for Scotland. Director of Screen Natalie Usher said: “this nomination not only gives a clear picture of what the Screen Commission does, but also highlights that they do it brilliantly – at the highest level”. The winners will be announced at an Awards Gala on Saturday 8 April 2017.